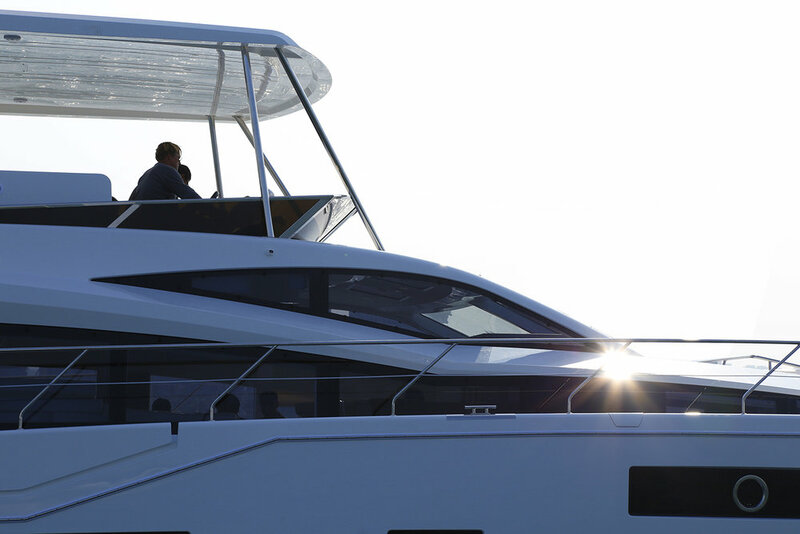 The Miami Boat Show came to a close on Monday after a busy but incredibly fun week. 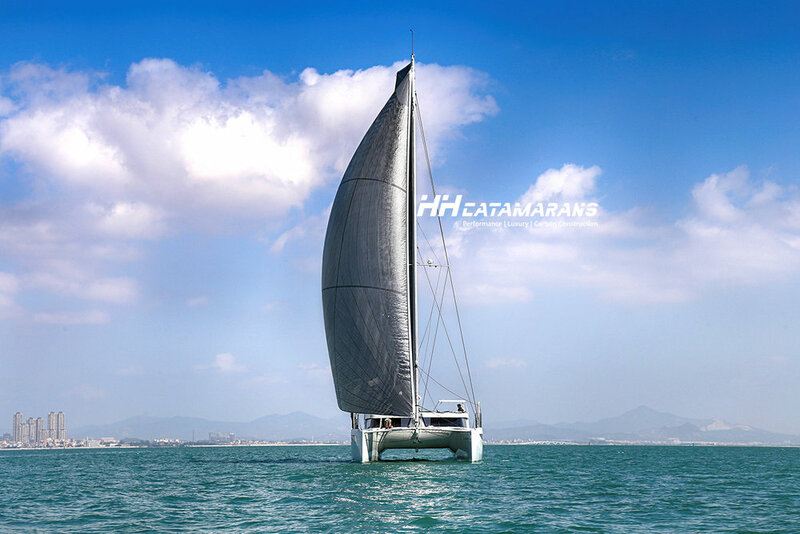 We had a fantastic show and this we year debuted HH Catamarans' latest launch, HH55-02 'Hai Feng'. She did us proud and impressed the Miami crowds. 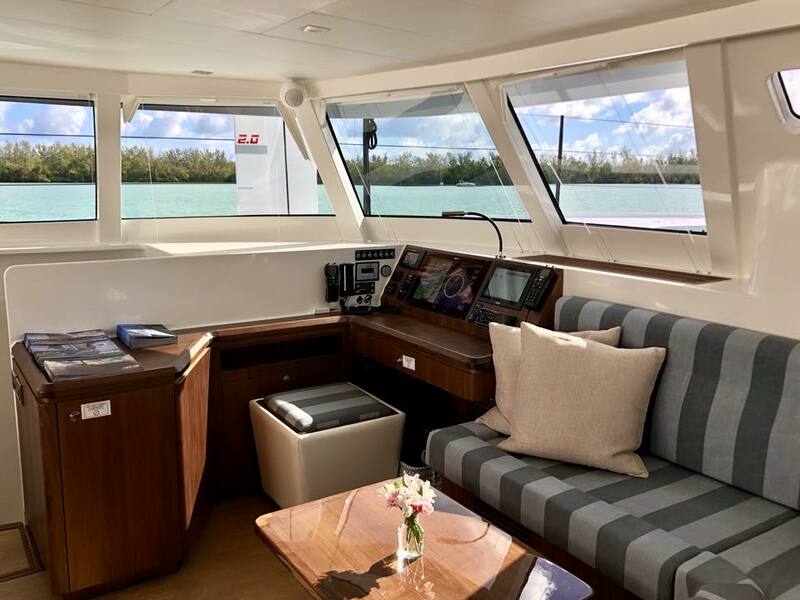 She's currently sea trialling off the Florida coast before her happy new owners finally get to have her all to themselves. If you weren't able to make it to Miami this year, here are some beautiful interior shots of 'Hai Feng', plus a walk-through video made by our friend Wiley Sharpe. 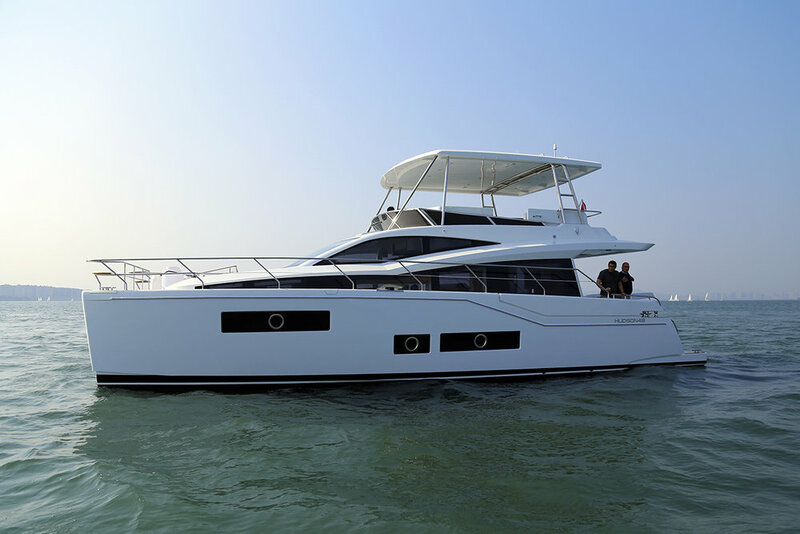 Hudson Yacht Group Names Chris Doscher President and Director of Sales. February 10, 2018 - Hudson Yacht Group has named competitive sailor, experienced pilot, successful entrepreneur and marine industry veteran Chris Doscher, president and director of sales. Chris Doscher is a graduate of Kent State University where he studied Aviation Management. His first love was of sailing, and he grew up sailing on Barnegat Bay at Island Heights Yacht Club. Driven by his appetite for excellence in competition, he participated in the 1980, 1984, 1988 and 1992 Olympic campaigns in the 470 class. Still seeking the thrill of competitive sailboat racing, he co-owned and campaigned Mumm 30 Xisled with Barry Carroll and Mark Ploch. From 2000 to 2004, he owned and campaigned his Farr 40 named “Twisted” earning multiple wins including trophies in the Southern Ocean Racing Conference (SORC). From 2004 to 2012, Doscher raced on “Titan” with Tom and Dottie Hill from San Juan as the main trimmer and helmsman. All of this was just for fun in his “spare time." Chris Doscher began his private aviation charter company in 1986 which grew to employ over 400 professionals with a fleet of 40 jets worldwide. He sold the company in 2000 to Berkshire Hathaway. Longing to conquer new challenges in the marine world, Chris Doscher became the sailboat sales manager for Beneteau in North America. 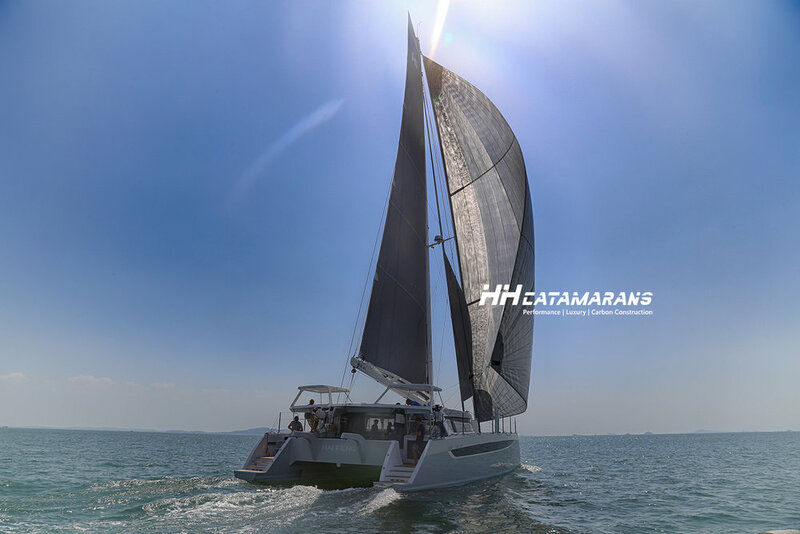 “We are fortunate to have someone with Chris’ entrepreneurial spirit, experience, relationships, knowledge, drive and passion for sailing leading Hudson Yacht Group,” said Hudson Yacht Group founder and CEO Hudson Wang.  “I am humbled by this opportunity to be part of a first-class organization with proven professionals building and bringing to market a fast, luxurious and truly remarkable product offering. 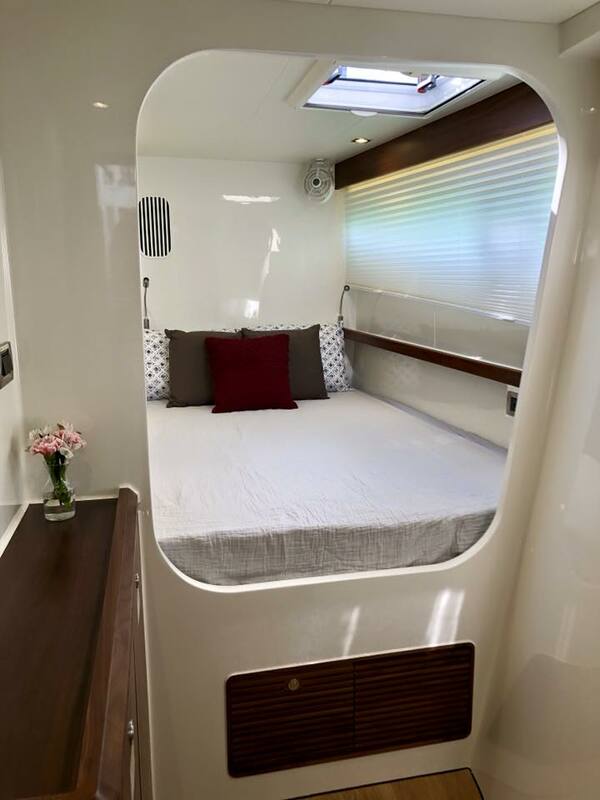 This is evidenced by multiple Boat of the Year awards from SAIL Magazine, Cruising World Magazine and Sailing World Magazine in 2018.  I believe my past experiences are a culmination of preparation to lead Hudson Yacht Group in becoming a greater influence in the marine industry worldwide,” Chris said. Hudson Yacht Group offers semi-custom and production yachts unlike anything on the market thanks to an unmatched combination of strengths including an award winning design group, a master boat building team, the credibility and longevity of a manufacturing powerhouse, and an intricate network of the world's best sales and service professionals. 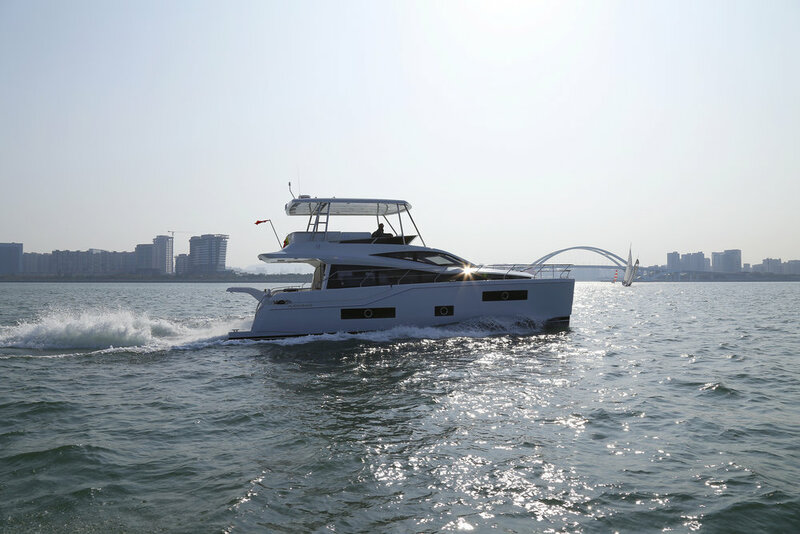 Sea trials began yesterday for the beautiful new charter version HPC48. It was a great day on the water cruising at 16 knots and top speeds of 22 knots. Trials will continue until the end of the month as we put our latest launch through her paces. See at a glance, everything that's happening across all our social networks.  Our Facebook, Instagram and Twitter feeds are all now visible on one page. The final rounds of sea trials are underway for HH55-02 'Haifeng'. Trials are expected to complete early next week ahead of delivery. Sailing footage coming soon. 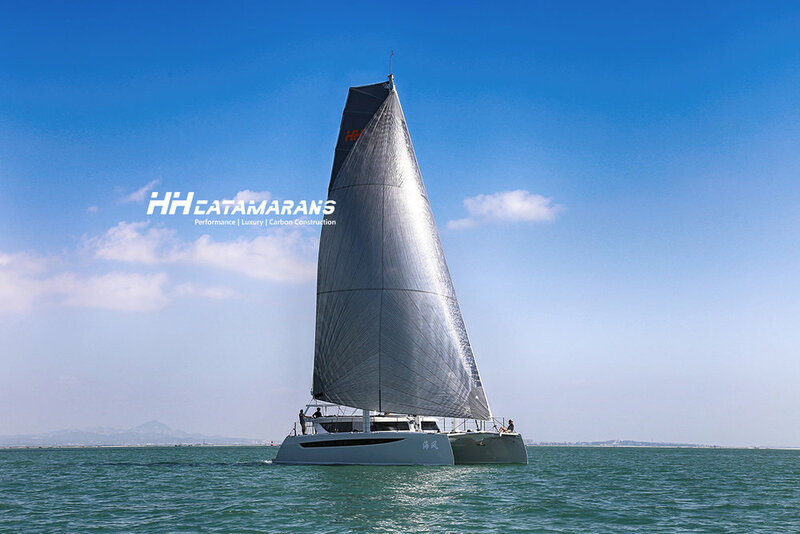 The HH Catamarans team have been out on the water to hoist sails and tune the rig on HH55-02 ‘Haifeng’. 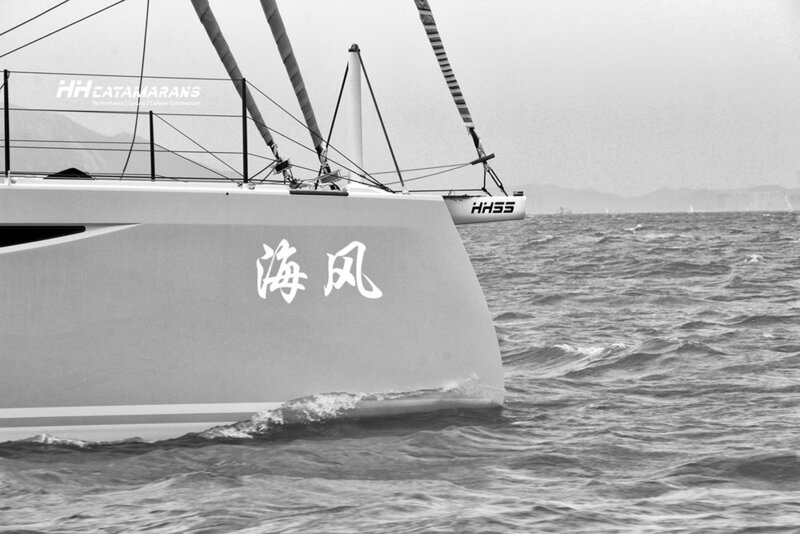 Last week, with windspeeds of 18 to 23 knots and 1.5m swells, conditions were prefect to flex a few muscles and test Haifeng for the first time in choppy conditions. They averaged 9 knots upwind with the staysail and first reef and clocked 18 knots downwind in 20 knots of wind with the reacher. It's early days, and the team hasn’t fully cranked 55-02 up yet, but all in all it’s been a very successful first week.